Salem, OR—Governor Kate Brown's request for a Presidential Disaster Declaration is officially approved for the severe winter storm and flooding that occurred from Dec. 14-17. Federal funding is available to state, tribal, and eligible local governments, and certain private nonprofit organizations, on a cost-sharing basis for emergency work and the repair or replacement of facilities damaged by a severe storm and flooding in Josephine and Lane counties. Damage assessment teams determined more than 16 million dollars in damage met local and state thresholds for the declaration. Ice and debris knocked trees and limbs into power lines in Lane County taking out hundreds of miles of publicly owned power lines. In Josephine County heavy snow, mudslides, landslides and flooding caused substantial damage. 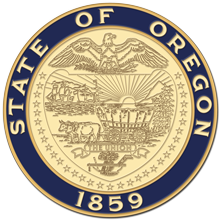 "This disaster declaration will provide much needed financial assistance to two counties that were hardest hit by severe weather last December," said Oregon Office of Emergency Management Director Andrew Phelps. "We will also receive mitigation grant funds to reduce the impacts of hazards statewide. We look forward to working with our local, state, and federal partners throughout this recovery process, even as we are currently assessing damages from the winter storms we've had over the past few weeks to determine if additional federal assistance is warranted." "I love working with our partners in Oregon to get the applications for public assistance reimbursed as quickly as possible," said Diemont. "We're bringing in the right people quickly, and we're going to use our experience to hit the ground running."